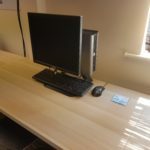 While we’re still building some exhibits, we’re keen to show off what we’ve got, including the new planetarium. 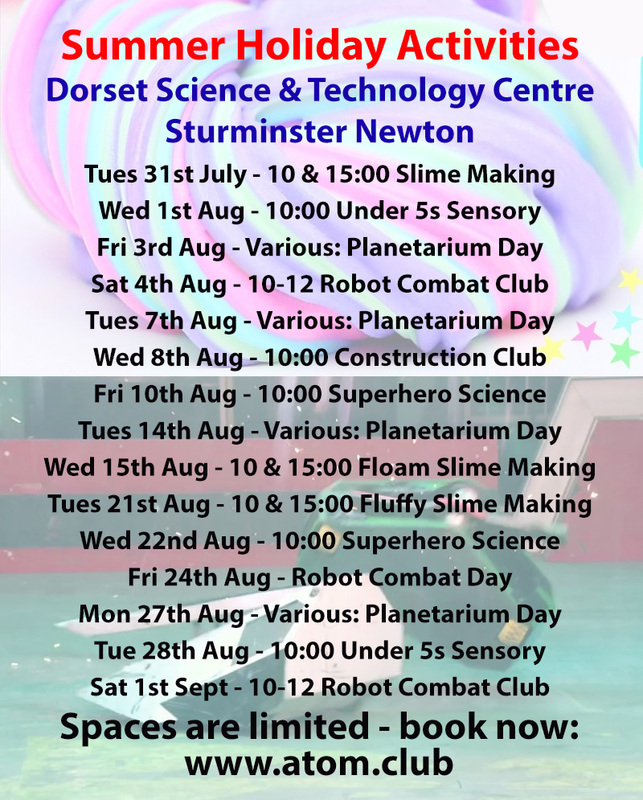 Our sell-out slime sessions are back, along with the second phase of our Robot Combat sessions. 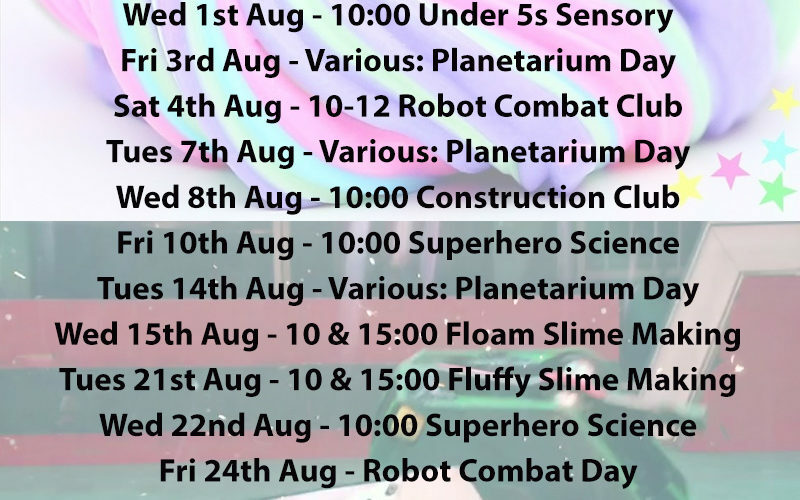 These are joined by new sessions, Construction Club and Under 5s Sensory.